G842664 Isododecane, Cyclopentasiloxane, PEG/PPG-19/19 Dimethicone, Synthetic Wax, Hydrogenated Polydicyclopentadiene, Nylon-12, C20-40 Alcohols, Perfluorononyl Dimethicone, Polyglyceryl-4 Diisostearate/Polyhydroxystearate/Sebacate, Polyethylene, Calcium Aluminum Borosilicate, Synthetic Fluorphlogopite, Pentaerythrityl Tetra-Di-T-Butyl Hydroxyhydrocinnamate, Calcium Sodium Borosilicate, Silica, Polyethylene Terephthalate, Tin Oxide, Polyurethane-11. [+/- May Contain/Peut Contenir: Mica, CI 77491, CI 77492, CI 77499/Iron Oxides, CI 77891/Titanium Dioxide, CI 77510/Ferric Ferrocyanide, CI 75470/Carmine, CI 77742/Manganese Violet, CI 77007/Ultramarines, CI 77266/Black 2, CI 77000/Aluminum Powder, CI 77288/Chromium Oxide Greens.] F.I.L.# D46068/10. Application Tips:1. 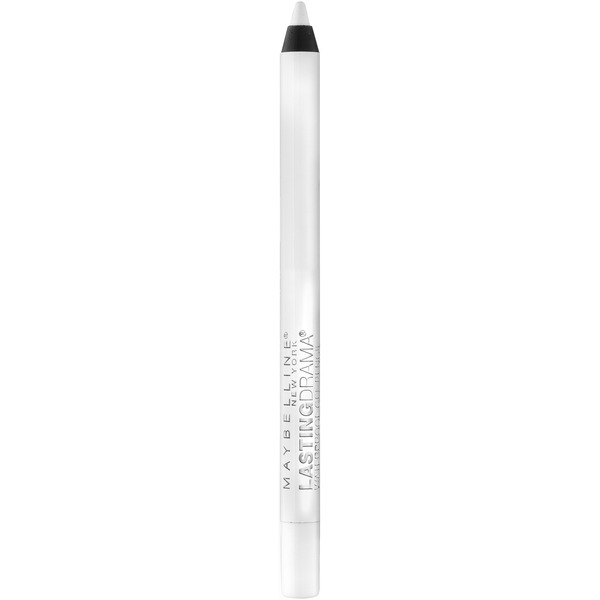 Apply Lasting Drama® along the upper lash line.2. For added drama, line lower lash line.